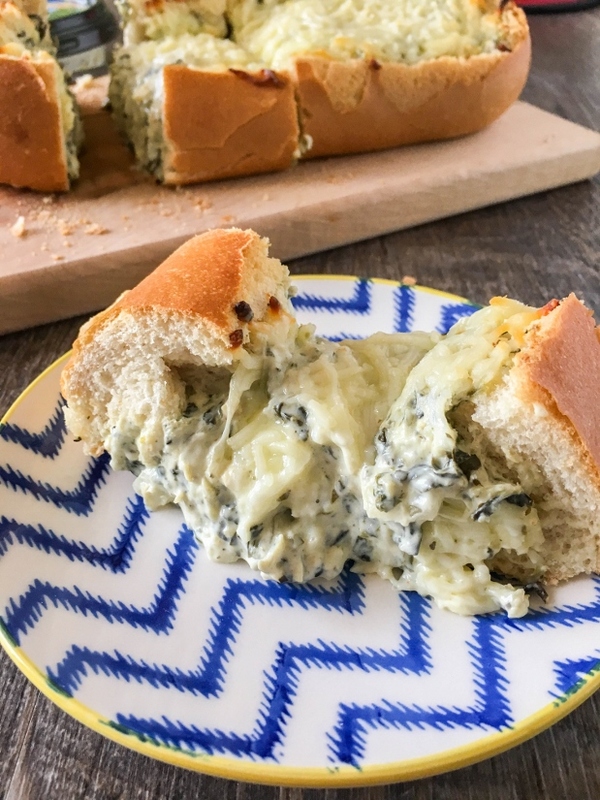 This Spinach Artichoke Stuffed Cheese Bread is the perfect appetizer for game day! Creamy dip gets stuffed into a loaf of fresh bread, topped with shredded mozzarella, then baked to cheesy perfection. This recipe was developed in partnership with La Terra Fina and I thank them for sponsoring this post! There are so many things I love about fall, but one of my most favorites is that it's football season. I've loved football for as long as I can remember, and my favorite memories are sitting in front of our fireplace on Sunday's and watching it on TV with my dad. My mom would make a big Sunday dinner early in the day, then in the evening we'd have appetizers or snacks while watching the games. I still spend weekends watching football and other sports with my sons and I love to make special foods for us to enjoy. 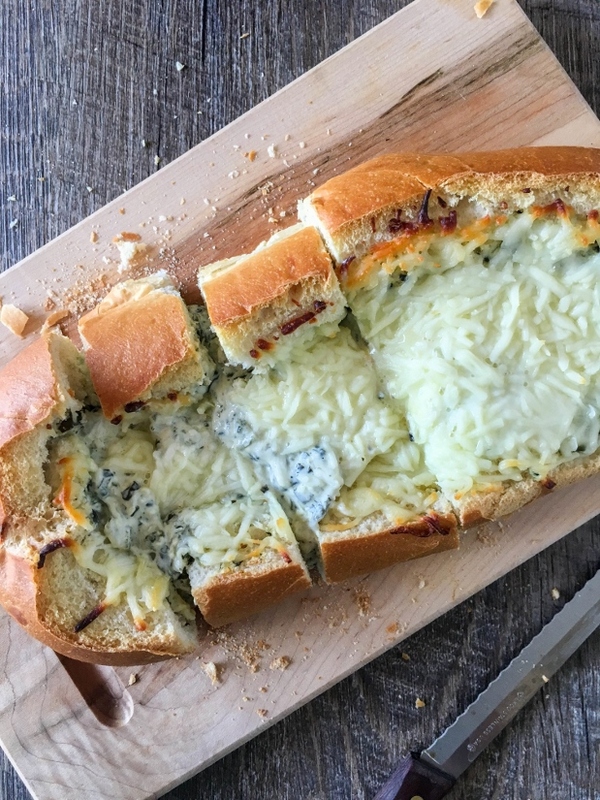 This simple, three ingredient Spinach Artichoke Stuffed Cheese Bread is our new favorite! 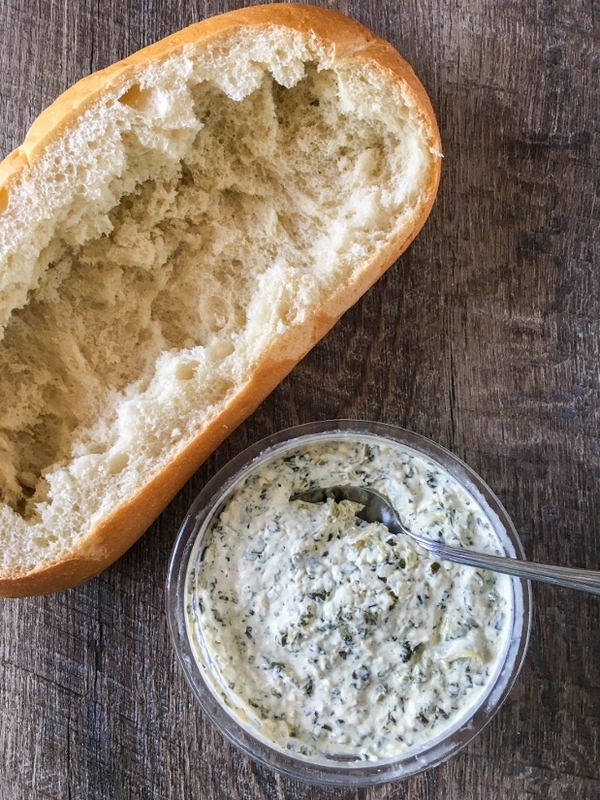 I've been a huge fan of La Terra Fina dips and spreads for quite awhile now. They are rich in flavor, high in quality, and are made with real, clean ingredients. They are also certified gluten-free and contain no nuts or trans-fats. 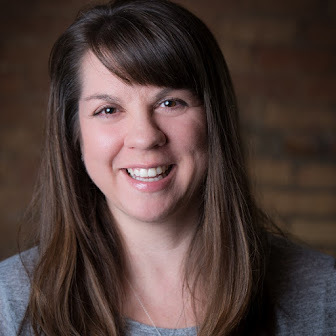 They are products that I can feel good about feeding my family! 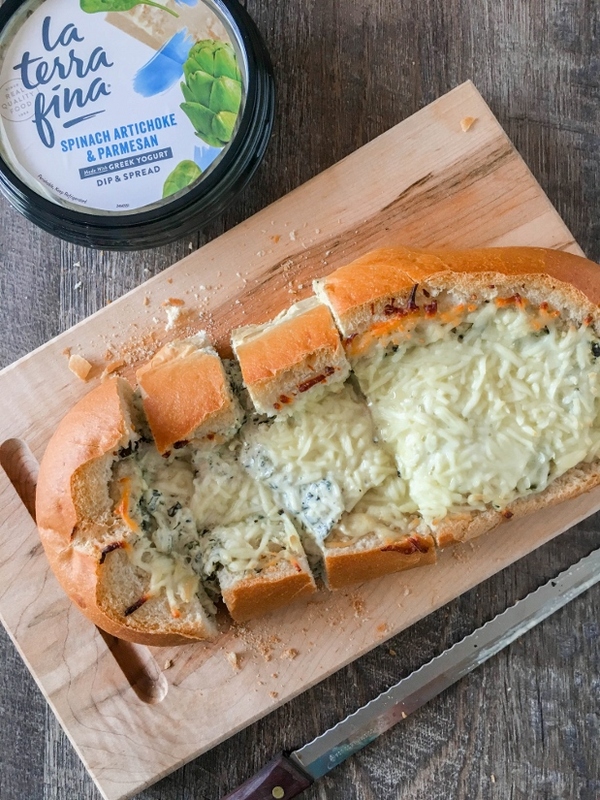 This Spinach Artichoke Stuffed Cheese Bread is made with just a fresh loaf of bread, La Terra Fina Spinach, Artichoke & Parmesan Dip made with Greek Yogurt, and shredded mozzarella cheese. Just three ingredients are all you need for an easy, warm and cheesy appetizer that will rock your game day! 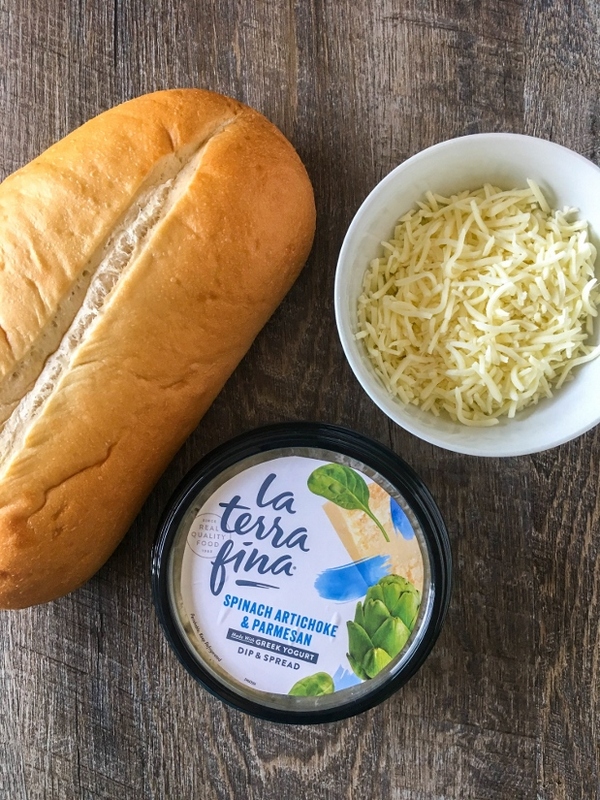 La Terra Fina recently introduced two new varieties to their already amazing line - Lemon Pepper & Asiago Dip & Spread and Spicy Green Chile & Cheese Dip & Spread. These dips can be enjoyed as ingredients in plenty of dishes, but they are equally as amazing just as a snack. The Lemon Pepper & Asiago is perfect with some crunchy pita chips! Find a store near you and pick some up soon and give all the varieties a try. Whether you're tailgating, having a party at home, or just hanging out with your family, be sure to make this deliciously simple appetizer soon! It's on repeat here at our house, and I bet it will be at your house too. Carefully slice off the top half inch of the bread loaf and hollow out the inside of the bread. Spoon the mixture into the bread evenly, then sprinkle with the mozzarella cheese. Place the loaf on a baking sheet and bake until the dip is warm and bubbly and the cheese is melted, about 25 minutes. Allow to cool for 5 minutes, then slice the loaf and serve immediately. 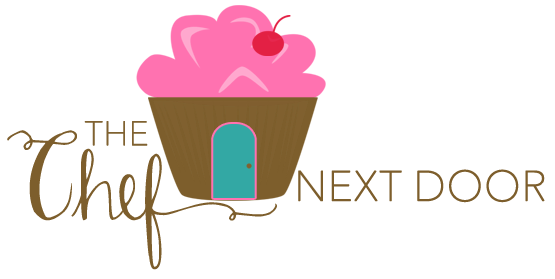 Be sure to follow La Terra Fina on Facebook, Twitter, Pinterest and Instagram for more recipes and inspiration!